What a dream combination… A Villa offers you luxury, freedom and privacy. Place that Villa in a Cape Town – a cosmopolitan city often voted as a top travel destination – and you have a holiday to remember! Cape Town is a blend of vibrant nightlife and excellent restaurants surrounded by breathtaking scenery in the shape of mountains, ocean and top beaches. What more could you want? Just the name brings up images of sumptuous sunsets viewed from the balcony of an exotic mansion. Dream a little more and imagine groups of friends dining under the stars and reclining next to the sparkling pool. The dream isn’t far off reality. 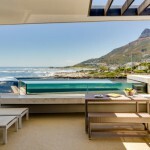 Many of the Villas in Cape Town offer you a Private swimming pool and stunning sea views as well as spacious suites so that you can bring your group of friends or extended family. Cape Town is a postcard-pretty city with so much to offer – Visit the unmissable Table Mountain, recently named one of the Seven Natural Wonders of the World. Relax on dozens of pristine white sand beaches from glamorous Clifton and Camps Bay to the romantic long walks of Noordhoek Beach. Get adventurous with surfing, paragliding, diving, hiking and kite surfing. Experience nature at her wildest, head down to Cape Point, to see two raging oceans collide. Be entertained- Cape Town splashes out with vibrant nightlife and world-class restaurants that impress. What’s on your ideal Family Holiday Wish-list? Here goes… A pristine beach with endless sunny days… Family-friendly restaurants…Events to keep the whole family entertained…Romantic nights out for Mom and Dad. Cape Town has it all. Family-friendly can be found all over Cape Town. Families love Camps Bay, Llandudno, Hout bay and of course, Boulders Beach with its charming penguins. Whether your family is at the bucket-and-spade stage or at the perfect age to try surfing, there’s something for everyone. Family-friendly restaurants with outdoor play areas and au pairs can be found from Noordhoek to Blouberg. Take the whole family to The Aquarium, on the Hop-on Hop-off Bus or experience nature whilst hiking and horse-riding. Then dress up, hire a babysitter and head for a romantic meal at a Cape Town restaurants. The Mother City offers top cuisine from French to Fusion, Japanese to Jalfrezi – it’s no wonder Capetonians are avid foodies! Great times are made to be shared. A Villa allows you to include all your closest friends in your Cape Town getaway. Invite friends to dine in luxury at a top ranked restaurant then hit the dance floor at one of Cape Town’s clubs. Spend the day on the wine route, exploring the vineyards and towns of the Cape. Thrill your friends with extreme sports like paragliding, wake boarding or a Kite surfing lesson. After all that, relax with an indulgent spa treatment in one of Cape Town’s hotels or spas. Take your pick of luxury Villa – Cape Town Villas are designed with everything you could ever want. Swimming Pools (often heated), Jacuzzi’s with views, Surround sound, Satellite Television, Underfloor Heating, High End Architecture and Designer Marble and Wood fittings. 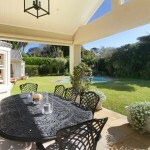 Cape Town Villas pull out all the stops to make you feel not just at home but lavishing in luxury. You’re in Cape Town to relax. Your Villa in Cape Town should offer you every convenience. Many Villas are just a short walk from the beachfront and a ten minute drive from Cape Town’s major attractions. Villas are also generally serviced daily by experienced housekeepers who will see that the Villa is well taken care of. Although most Villas are self-catering, some come with features that offer meals, snacks and champagne during your stay. Ensuring that you feel safe during your stay, Villas are equipped with high end security and are often link to armed response guards in the area. View Cape Town Villas online now, they’re brought to you by Capsol, a reputable company that has been in the Villa Rentals industry since 1996. We offer a full online description of all Villas and what they offer. Pictures show you around every room and vista of the Villa. Call now and speak to one of our consultants who will happily answer your questions and help match you to a Villa suited to your needs. Book one of these private, exclusive and secure Constantia Cape Town holiday rentals with swimming pools and enjoy a quality holiday with your family. 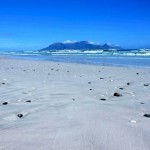 Looking for self catering Cape Town accommodation for your next beach holiday? Consider Blouberg, a haven for watersports enthusiasts & families alike. Take advantage of Cape Town's sunshine, rent a holiday house in exclusive Camps Bay and indulge in a summer vacation that’s spectacular in every way.